Projectbobcat.com is a volunteer run website designed to provide help and information to owners and enthusiasts of Ford Fiestas manufactured between 1976 and 1989. 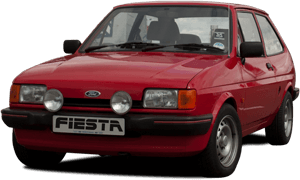 Our register of Ford Fiestas records the information that you submit in a database, this may include names or nicknames, photographs, vehicle license information, and information relating to that vehicle such as make, model, specification and year. All text based vehicle license details are partially obfuscated (starred out) in both the vehicle registration number lists, and the filenames of any images, however they are publically visible in the photos that you submit unless you edit or manually hide them in the photo supplied. We warn users of this on the register form page. Please also note where you car is pictured before submitting any photographs as it may lead to its location being identifiable. A search form which allows users to enter a registration number, which then returns all information held about that vehicle which may include images with visible license plates. Model specific pages which include a list of related vehicle license numbers and other information which may include images with visible license plates. A homepage carousel which shows the latest vehicle submissions which may include an image with a visible license plate. In addition to the above form, if you contact us by email, we may store your contact information the purpose of replying to your enquiry only. Your information will not be used in any other way without your prior consent. If you would like to remove or alter any information contained within the projectbobcat.com website, which may make you identifiable, you can do so by contacting us via email at: info@projectbobcat.com.